The Liebert NX UPS provides high efficiency in both Eco-mode and double conversion mode, higher availability with hot-rectifier operation, and flexibility with SoftScale capacity upgrades. This power protection solution offers a dynamic response, avoids potential battery damage while procuring fast seamless transitions, and still delivers significant energy savings. The scalable Liebert NX™ UPS is a transformer-free, high efficiency, on-line UPS. 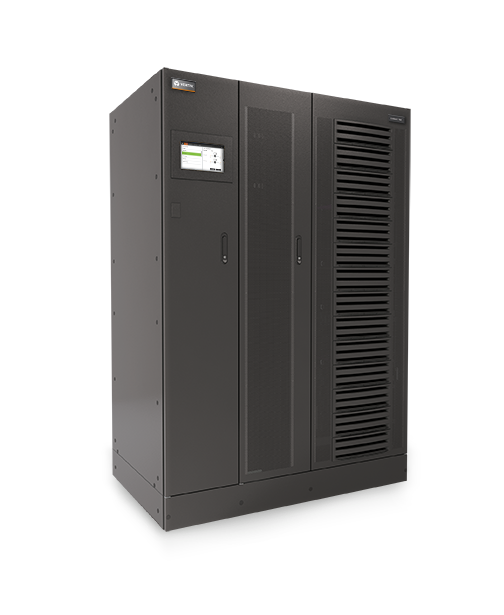 The UPS operates with unity power factor, providing more real power for data center equipment. Liebert NX allows Softscale™ capacity upgrades without increasing footprint — 225 to 250 to 300kVA; or 400 to 500 to 600kVA 480V, 60 Hz models.